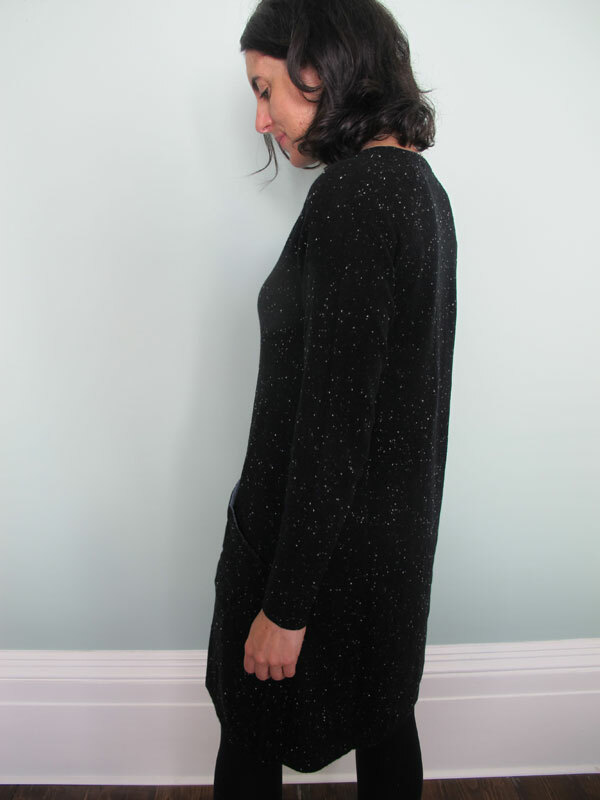 Hugely popular, now knitted in our cashmere flecked yarn. 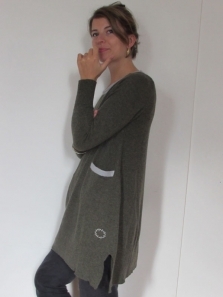 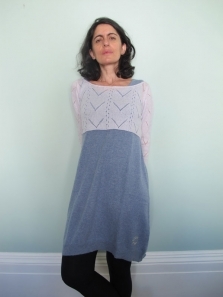 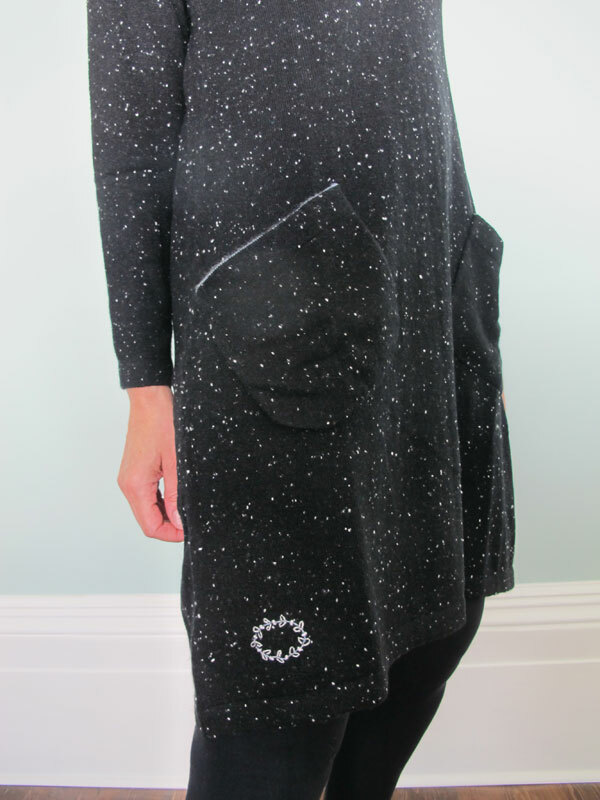 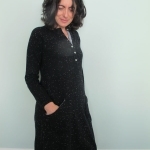 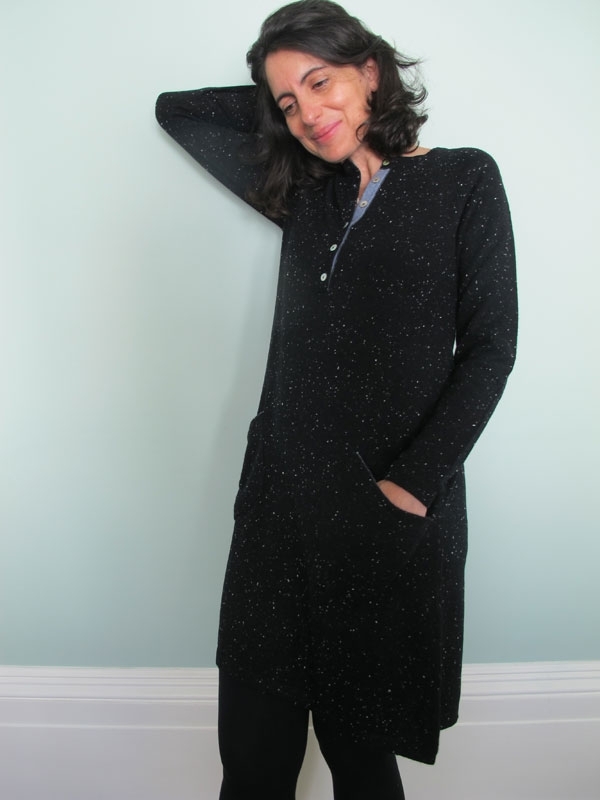 A versatile and easy to wear cashmere dress, with contrast coloured edging and button cuffs. 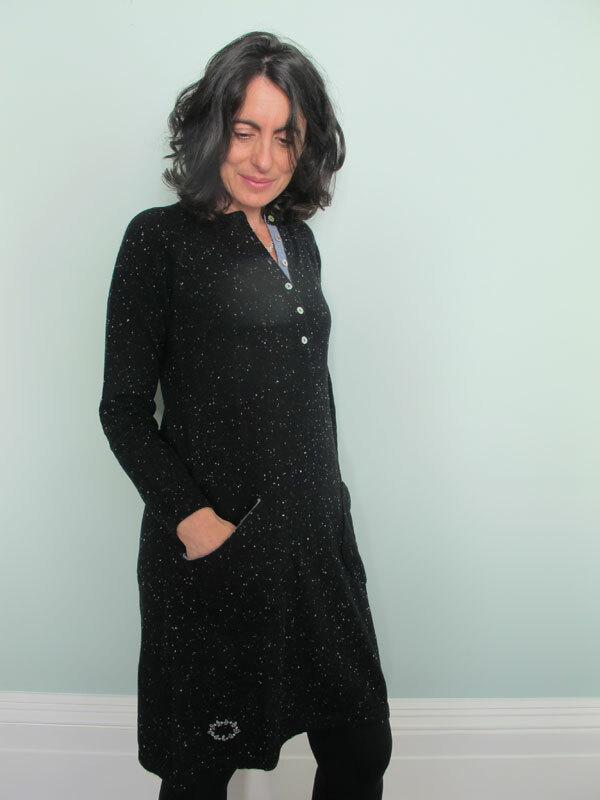 You can wear it with boots, you can wear with tights – you can it whatever way you like and it always looks marvellous.